Goodbye November and hello December. December marks the start of ArrayO'Style's advent calendar and this year we're calling Christmas, 'Dressmas'. 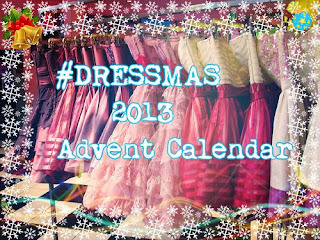 Each day a decadent dress will be shown on here, Twitter and Facebook and best of all- the dress's are under £15! I say £15 as they would normally be under £10, but with delivery it would cost £15 anyway. I want one of those! Christmas Nailart is all I want for Xmas. How to get into the Christmas spirit. Copyright ArrayOStyle 2014. Ethereal theme. Powered by Blogger.